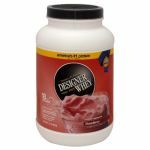 Solgar - Whey To Go Protein Powder* Natural Strawberry Flavor Growing Naturals - Organic Rice Protein Original - 16.2 oz. Growing Naturals - Organic Rice Protein Vanilla Blast - 16.4 oz. Get answers from an expert. For product information please contact our nutritionists at Sundrops.com. 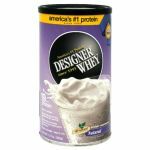 Great Whey Substitute: 96% correlation to whey protein's amino acid profile but better yet, minus the dairy and allergens. The Only Rice Protein Isolate: More dairy-free protein per scoop for your buck, at 90% levels and fewer carbs. 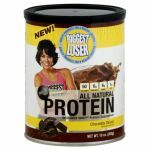 100% More Protein: Double what most competitors offer at 24 grams / serving of bioavailable protein. 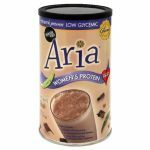 The Raw Protein: Using raw proteins, we boost digestibility and energy production. Leading Gluten Free Charge: Only protein source endorsed by the Celiac Disease Foundation. Only Smooth Rice Protein: A proprietary process creating a non-chalky, silky texture, leaving consumers wanting more. 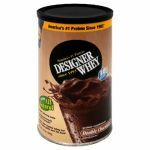 Great Whey Substitute: 96% correlation to whey protein's amino acid profile but better yet, minus the dairy and allergens. Leading Gluten Free Charge: Only protein source endorsed by the Celiac Disease Foundation. Only Smooth Rice Protein: A proprietary process creating a non-chalky, silky texture, leaving consumers wanting more. 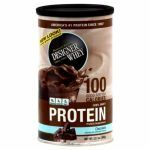 Great Whey Substitute: 96% correlation to whey protein's amino acid profile but better yet, minus the dairy and allergens. Leading Gluten Free Charge: Only protein source endorsed by the Celiac Disease Foundation. Only Smooth Rice Protein: A proprietary process creating a non-chalky, silky texture, leaving consumers wanting more. Get answers from an expert. For product information please contact our nutritionists at Sundrops.com. Get answers from an expert. For product information please contact our nutritionists at Sundrops.com. Get answers from an expert. For product information please contact our nutritionists at Sundrops.com. Bluebonnet�s 100% Natural Whey Protein Isolate is sourced from grass-fed cows in New Zealand that are not treated with antibiotics or recombinant bovine growth hormone (rBGH), also known as bovine somatotropin (BST). Additionally, whey protein has the highest biological value (BV) of any protein on the market, which refers to a protein that has all of the essential amino acids in adequate quantities to sustain growth and development. 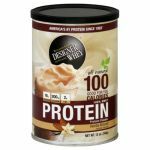 That�s why Bluebonnet�s 100% Natural Whey Protein Isolate uses high-quality, microfiltered whey protein isolate with important, naturally-occurring immunoglobulins, which help support the immune system. 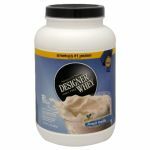 Whey is also a rich and natural source of branched chain amino acids (BCAAs) and glutamic acid. Bluebonnet�s 100% Natural Whey Protein Isolate provides fast-acting protein meaning its amino acids are easily and readily available to the body for immediate use - an especially important consideration for athletes to use after exercising to optimize the recovery phase by quickly replenishing the body�s amino acid pool. Unlike the common practice of using a heat-processed whey protein isolate that can denature (render useless) the protein and immunoglobulins, Bluebonnet employs a special low-temperature method, which leaves the protein and immunoglobulins intact. Bluebonnet�s 100% Natural Whey Protein Isolate is sourced from grass-fed cows in New Zealand that are not treated with antibiotics or recombinant bovine growth hormone (rBGH), also known as bovine somatotropin (BST). Additionally, whey protein has the highest biological value (BV) of any protein on the market, which refers to a protein that has all of the essential amino acids in adequate quantities to sustain growth and development. 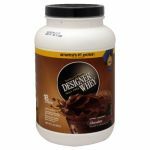 That�s why Bluebonnet�s 100% Natural Whey Protein Isolate uses high-quality, microfiltered whey protein isolate with important, naturally-occurring immunoglobulins, which help support the immune system. Whey is also a rich and natural source of branched chain amino acids (BCAAs) and glutamic acid. Bluebonnet�s 100% Natural Whey Protein Isolate provides fast-acting protein meaning its amino acids are easily and readily available to the body for immediate use - an especially important consideration for athletes to use after exercising to optimize the recovery phase by quickly replenishing the body�s amino acid pool. Unlike the common practice of using a heat-processed whey protein isolate that can denature (render useless) the protein and immunoglobulins, Bluebonnet employs a special low-temperature method, which leaves the protein and immunoglobulins intact. Bluebonnet�s 100% Natural Whey Protein Isolate is sourced from grass-fed cows in New Zealand that are not treated with antibiotics or recombinant bovine growth hormone (rBGH), also known as bovine somatotropin (BST). Additionally, whey protein has the highest biological value (BV) of any protein on the market, which refers to a protein that has all of the essential amino acids in adequate quantities to sustain growth and development. 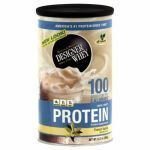 That�s why Bluebonnet�s 100% Natural Whey Protein Isolate uses high-quality, microfiltered whey protein isolate with important, naturally-occurring immunoglobulins, which help support the immune system. Whey is also a rich and natural source of branched chain amino acids (BCAAs) and glutamic acid. Bluebonnet�s 100% Natural Whey Protein Isolate provides fast-acting protein meaning its amino acids are easily and readily available to the body for immediate use - an especially important consideration for athletes to use after exercising to optimize the recovery phase by quickly replenishing the body�s amino acid pool. Unlike the common practice of using a heat-processed whey protein isolate that can denature (render useless) the protein and immunoglobulins, Bluebonnet employs a special low-temperature method, which leaves the protein and immunoglobulins intact. Bluebonnet�s 100% Natural Whey Protein Isolate is sourced from grass-fed cows in New Zealand that are not treated with antibiotics or recombinant bovine growth hormone (rBGH), also known as bovine somatotropin (BST). Additionally, whey protein has the highest biological value (BV) of any protein on the market, which refers to a protein that has all of the essential amino acids in adequate quantities to sustain growth and development. That�s why Bluebonnet�s 100% Natural Whey Protein Isolate uses high-quality, microfiltered whey protein isolate with important, naturally-occurring immunoglobulins, which help support the immune system. 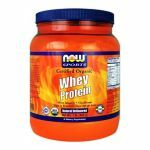 Whey is also a rich and natural source of branched chain amino acids (BCAAs) and glutamic acid. Bluebonnet�s 100% Natural Whey Protein Isolate provides fast-acting protein meaning its amino acids are easily and readily available to the body for immediate use - an especially important consideration for athletes to use after exercising to optimize the recovery phase by quickly replenishing the body�s amino acid pool. Unlike the common practice of using a heat-processed whey protein isolate that can denature (render useless) the protein and immunoglobulins, Bluebonnet employs a special low-temperature method, which leaves the protein and immunoglobulins intact. Bluebonnet�s 100% Natural Whey Protein Isolate is sourced from grass-fed cows in New Zealand that are not treated with antibiotics or recombinant bovine growth hormone (rBGH), also known as bovine somatotropin (BST). Additionally, whey protein has the highest biological value (BV) of any protein on the market, which refers to a protein that has all of the essential amino acids in adequate quantities to sustain growth and development. That�s why Bluebonnet�s 100% Natural Whey Protein Isolate uses high-quality, microfiltered whey protein isolate with important, naturally-occurring immunoglobulins, which help support the immune system. Whey is also a rich and natural source of branched chain amino acids (BCAAs) and glutamic acid. Bluebonnet�s 100% Natural Whey Protein Isolate provides fast-acting protein meaning its amino acids are easily and readily available to the body for immediate use - an especially important consideration for athletes to use after exercising to optimize the recovery phase by quickly replenishing the body�s amino acid pool. Unlike the common practice of using a heat-processed whey protein isolate that can denature (render useless) the protein and immunoglobulins, Bluebonnet employs a special low-temperature method, which leaves the protein and immunoglobulins intact.